I adore Oscars Season. The movies, the glitz, the fashion, the glamor, the festivities…. And like the Superbowl, I usually do a spread of my picks for the awards. At this point, I’ve watched 7 out of the 9 nominees for Best Picture. Not too shabby right? 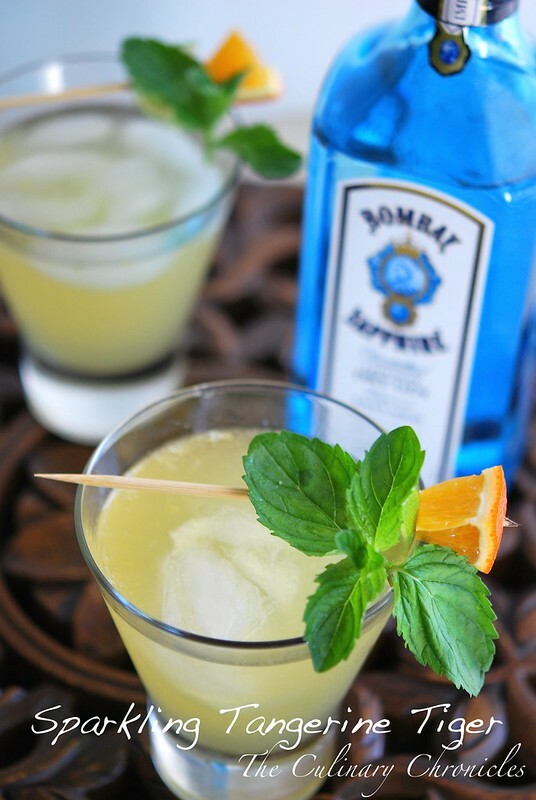 To pair with our Oscars bites, I wanted to serve my guests with a cocktail…..or two, or three. 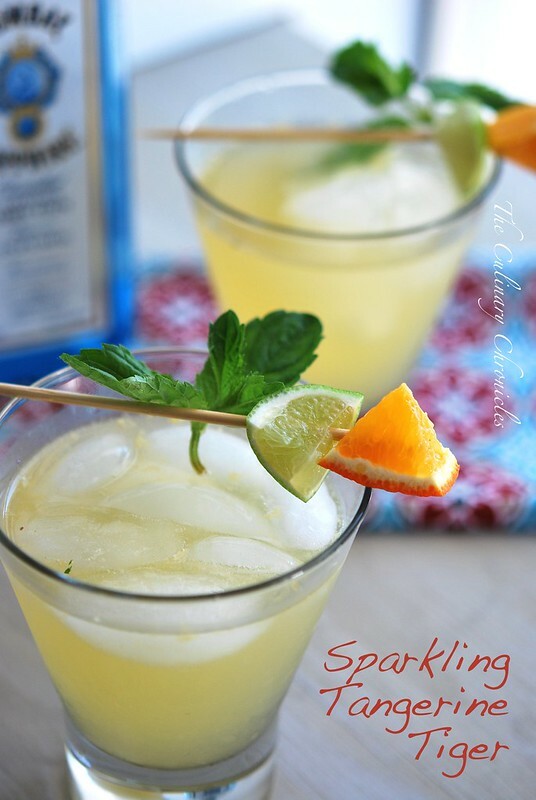 As my nod to Life of Pi, I’ll be shakin’ up a refreshing cocktail using Bombay Sapphire Gin, fresh tangerines, limes, raw sugar, mint and a good dose of sparkling wine. Peppery, bright, refreshing, and just plain lovely. After much consultation from my cocktail lovin’ peeps, I’ve dubbed this concoction, the Sparkling Tangerine Tiger. However you choose to cerebrate, hope y’all enjoy the Oscars tomorrow—I know we will! In a shaker, muddle the tangerine, lime, mint and sugar. Add the gin and shake well. Fill two glasses with ice. Strain and divide the liquids amongst the two glasses. Top each glass with 1/2 of the sparkling wine. 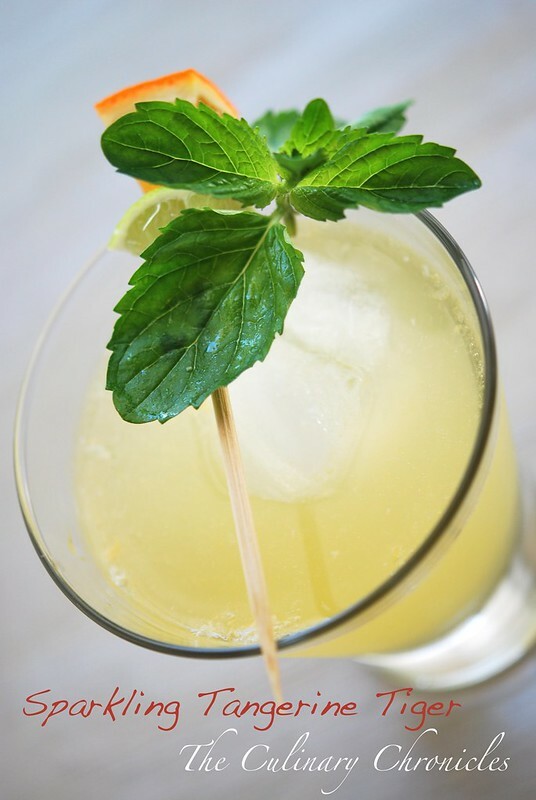 Garnish with citrus wedges and mint leaves.